How do I run a successful meeting? One of the allures of running your own small business might be that you don’t have to worry about all the formal structure that exists in bigger companies. Typically that starts with avoiding regular meetings at all costs. I mean, as a small business owner, you are typically seeing and talking with all of your key team members multiple times a day. Why muck it all up with a bunch of formal meetings? In our 15 years of coaching owners of small companies, one of the top complaints we’ve heard revolves around communication. Either too little of it, too much, too confusing, etc. You might be surprised how a couple of simple, structured, and regular meetings can alleviate much of the communication complaining. The key is doing it right. We are big fans of keeping things simple and easy. From a meeting standpoint, start with one meeting. We typically recommend starting with either a daily touch or a weekly update meeting. The daily meeting should be no more than 5-10 minutes and the weekly no more than an hour. It’s key to start with one so you can get your rhythm down and build momentum. Have a set day & time: if Monday at 10am works for everyone for the weekly update, make sure it gets into everybody’s calendar and stick to it and don’t allow other things to trump that meeting. Also, start on time and finish on time. Don’t let it drift! Create a set agenda: make the agenda items a handful of broad categories for what you’d like to discuss during the meeting and the specifics will change each time. And don’t let anything else be inserted into the meeting. Avoid problem solving: whether it be a daily touch or a weekly update meeting, the purpose is to make sure information is disseminated, not to solve problems. If you see people delving into problem solving mode, quickly bring them back up and ask them to problem solve offline. Don’t include bystanders: if someone is in the meeting, they should have something to present. Avoid the temptation of inviting everyone into the meeting. You want folks to be active participants so don’t waste someone’s time by requiring them to be at a meeting where they aren’t participating. 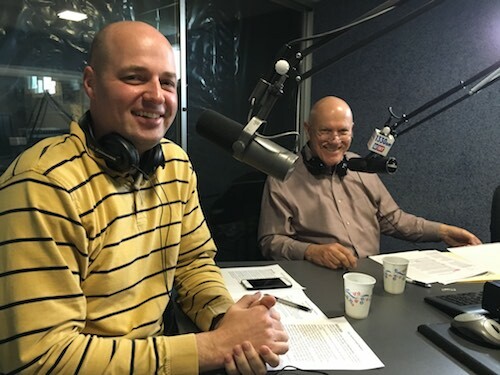 Listen to this week’s show of Dirty Secrets of Small Business, as co-hosts Jack Mencini and Adam Sonnhalter, who are also owners of Maximum Value Partners, www.maximumvp.com discuss the merits and the upside of running a successful meeting and what it means for your business. For more insights contact Jack and Adam directly at radio@maximumvp.com or 877-849-0670. Plan to listen each week on Wednesdays at 7:30 pm (EST) on WINT Radio 1330 and the new 101.5 FM, the coaches invite listeners to be a part of the show and feel free to call in (440-946-9468) or tweet your question to @MaximumVP. 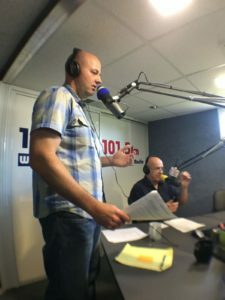 Listeners can ask questions about their businesses or even debate the examples Jack and Adam share on the trials and tribulations of their clients and the dirty secrets of small business. The post How do I run a successful meeting? appeared first on Maximum Value Partners. How do you fire your mother? & How do I know if I am an entrepreneur? How do I achieve a work/life balance?